Why did you cross out Nathan's name? I crossed out four sentences in that contract. Hey, try to cut back on the food consumption. 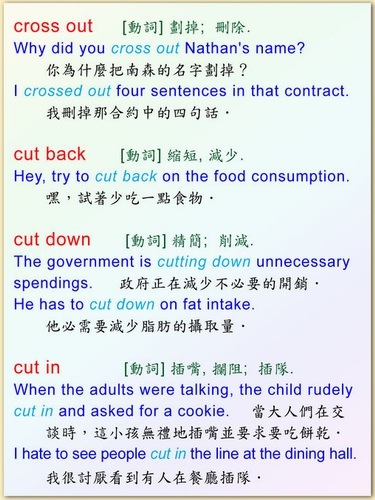 The government is cutting down unnecessary spendings. He has to cut down on fat intake. When the adults were talking, the child rudely cut in and asked for a cookie. I hate to see people cut in the line at the dining hall.